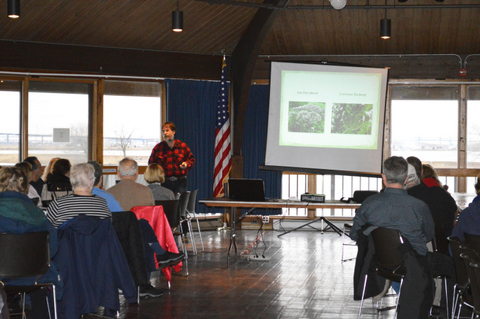 Thanks to all who joined Bergen County Audubon Society President Don Torino this afternoon in the Meadowlands Environment Center for his presentation on “Creating a BCAS Certified Wildlife Garden.” “We had a bunch of great people who want to help wildlife and get involved with the program,” Don said. Those who attended said they were inspired to get to work on creating backyard gardens that provide beneficial habitat for birds, butterflies and other wildlife. Don explained aspects of shaping a wildlife-friendly backyard, including the use of native plants, providing food and water sources, cover, and places to raise young. “I have every kind of bird you can imagine in my backyard and the program gives me an idea of how to get started” on creating a BCAS Certified Wildlife Garden, Kathy Johnson said. “Don is a great speaker, he makes things fun,” Johnson added. Kathy Hetherington said the talk was very informative. “I learned that I have to cut down on the invasive plants in my yard and cut back on my lawn,” she said. If you missed the talk, don’t fear. 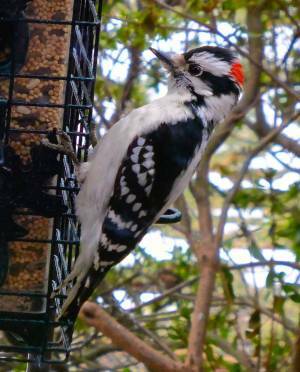 You can read about the BCAS Certified Wildlife Garden program here or contact Don at greatauk4@gmail.com or 201-230-4983. The BCAS will also lead a nature walk of DeKorte Park on Sunday, March 6, from 10 am to noon. The walk meets in the Meadowlands Environment Center parking lot and they’ll be looking for raptors, waterfowl and other birds of interest. For more information, contact the BCAS using the same email and phone number above. A couple of weeks ago we posted about the Birdy 30 contest sponsored by The Record and Herald News that challenged readers to report how many species they could see in a 30-minute period anytime from Feb. 12-15. In his Bird Watcher column in today’s paper, Jim Wright unveils the winner and how that weekend’s frigid temps made for an interesting 2016 Birdy Thirty. Jim’s column is here. As I looked out my window I noticed a spot of snow still lingering in my backyard, a small but telltale reminder of our near record snowfall. A tiny, isolated batch to be sure, but one that lets me know winter still might not be over . Despite our made up man made calendar and the weatherman telling us spring is still weeks away, I thought I would go see for myself what nature had to say about when spring might arrive. I hoped that somewhere between a 60 degree winter day and our recent 0 degree morning spring would be out there waiting for me. I hoped to find it somewhere between the Juncos of winter and the early arriving Killdeer that are beginning to stride along our rocky shores. I heard spring in the melody of a Song Sparrow that was singing atop my dogwood over the weekend and now is sounding its harmony throughout the meadows edges, just as I found the near end of winter in the White-throated Sparrows who are now announcing their journey north will soon begin. I know spring is now with our Bald Eagles that already are on their nests nurturing future generations and in the flocks of gathering Mergansers and Bufflehead staging themselves for a long northward journey. I also found spring with the Robins plucking the last crabapples and Holly Berries from the tired winter branches. I found spring in the maples and Serviceberry whose buds are now beginning to swell with the wonders of the renewed season. The Cardinal’s song can now be heard echoing spring’s arrival and the Goldfinch are beginning to show their brilliant yellow plumage to announce to all the season has arrived . 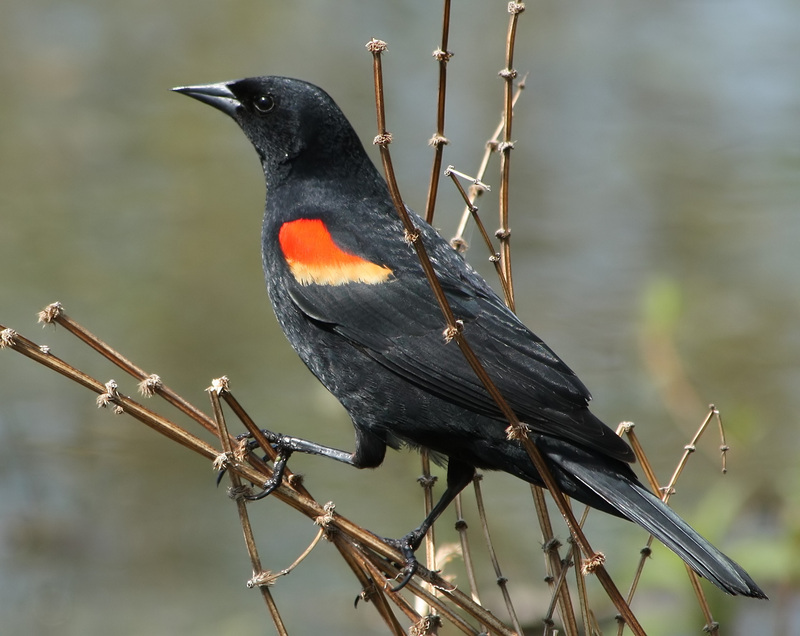 The Fox and Tree Sparrows have become less in numbers and harder to find but the Red-winged Blackbirds fill the Marshes with my favorite song of spring. Now too the Grackles fill the air with their electrical sound in a sure symbol of the coming of spring. The signs were all there. Spring could now be felt and heard; the days are longer, the cold slowly ever so hesitantly releases its icy grip as spring fights to reach out to us. Nature is the one constant. It has always been there waiting for us to find it. Just as spring will bring the Hummingbirds and Orioles it will also bring us what we need to revitalize our spirits and renew our souls. Get outside and find it for yourselves. There is nothing else like it.